This is one those herbs that most of us have heard about when speaking about herbs. German Chamomile is actually one of the most popular herbs in the west believe it or not. This herb has been traced back several thousands years, as early as the times of the Egyptians, Romans, and Greeks. Throughout the ages its been utilized to help alleviate numerous ailments such as Psoriasis, Inflammation, and Eczema among many others. Studies have shown that supplementing with German Chamomile can help restore normal sleep patterns, as well as help promote restful sleep, and can also actually help alleviate restlessness, nervousness, and anxiety. 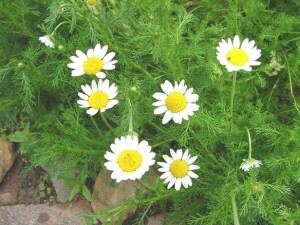 German Chamomile can be used 3 ways, internally, externally, and as an aromatherapy. This herb can be ingested and is great for ailments such as, stomach ailments, and relaxation purposes. German Chamomile is effective in the relief of various stomach problems like digestive issues, menstrual cramps, constipation, diarrhea, just to name a few. If can utilized in pill and tea form. It’s also great for mouth pain, and any open sores or cuts in the mouth associated with dental or gum pain. One of the reasons this herb has been utilized for so long, is it’s awesome benefits for stomach problems and other disorders in this region. It helps with irritable bowel syndrome, stomach cramps, menstrual cramps, diarrhea, gas and indigestion. It works too relax the muscles in the stomach which can help to alleviate any discomfort due to any of the problems I stated. The best way to take it too help with these problems is by ingesting it in a tea form. Usually the effects are felt pretty quick because it helps to relax your muscles faster than it would in pill form. Not only can it be used for internal purposes, but it can also help ailments outside of the body like, eczema, acne, rashes, and other skin ailments. Since it’s high in antioxidants and can be used as an antiseptic, it can be great for minor cuts, scrapes and burns. The Chamomile works to alleviate the pain associated with these problems, as well as help too fight off infection at the same time. Studies in Europe have shown that by utilizing German Chamomile externally on the skin, it can be beneficial for acne, eczema, scars, and other skin related issues. Many so called natural skin products that they sell in most major retailers claim to have German Chamomile infused within them. Don’t be fooled, most of those products contain less than one percent of it within them. The rest of the components are a bunch of chemicals that are anything but natural. If you're going to use it for your face, be sure too buy it from a reputable source, and not some product that contains trace amounts of it. Many people have reported that utilizing German Chamomile as an ointment can help to reduce pain and inflammation within your joints and muscles. It can be used for instantly pain relief externally as a liquid, gel, or ointment. Or you can take it in pill or capsule form, the only down side is the effects will take much longer too feel, but it may work longer once you do. Studies have gone both ways with this one. Some say that German Chamomile can help to cure and alleviate pain and inflammation caused by dental problems, others say it can’t. Many say too use as part of your mouthwash, and that by doing so it can help too benefit tooth a nd gum related problems. I have used it in the past, and really didn’t notice too much of a difference with it. Others I have spoken with swear by it, so this one you would have too probably try out for yourself too see if it works for you. Studies have been found that by inhaling the oil of German Chamomile, it can help to speed up the recovery of colds and flu’s by 30 percent. Now the studies aren’t solid and 100 percent proven, but more research is being done to prove this point. 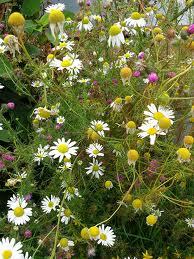 German Chamomile is also excellent in helping to promote restful sleep, and it can also help to promote relaxation. A good way to stay calm in a stressful place or environment is to do this. Buy a small container of the oil, small enough you can carry around in your pocket or purse. Then put a dab on a tissue or cloth of some kind, and smell it while visualizing a peaceful scene in your mind. By doing so you will become more relaxed and able to cope with stress a bit more easily. A great video I found on the benefits of German Chamomile, check it out! Stay connected by subscribing to our newsletter!